Ravindra Dholakia says there is urgent need to modernise way inflation is calculated by govt & inflation expectations are surveyed by RBI. 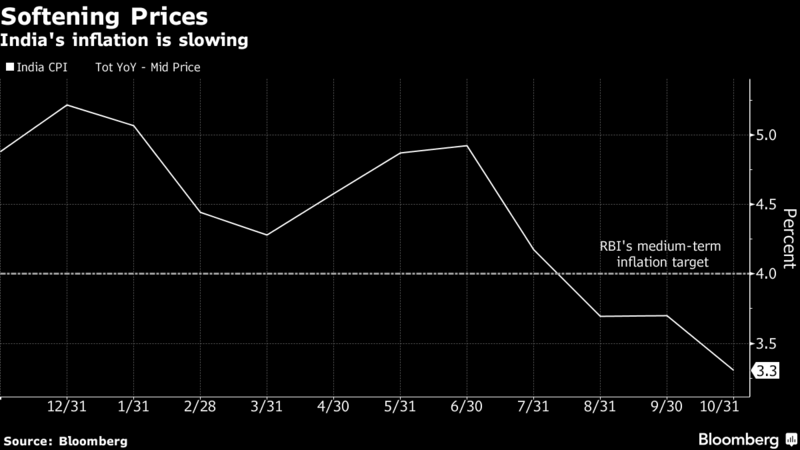 Mumbai: India’s inflation data is once again under scrutiny after a member of the central bank’s monetary policy panel raised questions about its efficacy. There was an urgent need to modernize the way changes to prices are being calculated by the government as well as the way inflation expectations are being surveyed by the Reserve Bank of India, Ravindra Dholakia, a dovish member of the panel, wrote recently in the Economic and Political Weekly. Dholakia said the current practice of measuring the inflation rate from a fixed base weight index is “outdated” and likely to overstate inflation substantially compared to the chain-weighted index used in developed countries. The latter refers to the method of continuously changing the weight of goods and services to match prevailing trends as opposed to keeping it fixed. The comments come at a time when inflation continues to undershoot the RBI’s forecasts. Inflation averaged 4.3 per cent in the six months of the fiscal year through September, below the RBI’s range of 4.7 per cent to 5.1 per cent from its April monetary policy statement. At 3.31 per cent in October, inflation is already underneath the 3.9 per cent lower end of the range for the second half. The RBI’s target is to keep inflation at 4 per cent over the medium term. Part of the reason for the inflation miss this year is volatile oil and benign food prices. 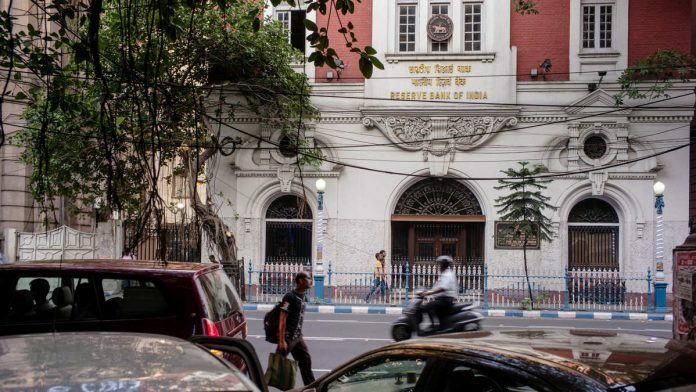 The RBI twice raised its inflation forecasts for the fiscal second-half: in June and August, when it raised interest rates amid elevated crude prices and a currency slump. It then lowered the projection in October as food prices unusually softened, which enabled policy makers to keep rates unchanged. Most economists in a Bloomberg survey predict the RBI will hold its benchmark rate at 6.5 per cent again on Wednesday. Questions about the inflation methodology follow recent concerns about revisions to gross domestic product data. Prime Minister Narendra Modi’s administration triggered a political controversy last week, when it released figures showing the economy expanded at a much slower pace under the previous government than reported earlier. Soumya Kanti Ghosh, chief economic adviser at State Bank of India, said the central bank should stick to forecasts for three to six months as variables like oil prices are difficult to predict. “Generating forecasts under and often unstated assumptions about exogenous variables such as oil prices, government spending, and global growth will throw up illusory or elusive results,” he said. A spokesman for the central bank didn’t immediately respond to an email seeking a comment. The RBI has in the past said its inflation model is able to ascertain how quickly prices and wages adjust. Abhishek Gupta, Bloomberg India economist, says the RBI should drop its household inflation survey too since it often paints a hawkish picture. The central bank cites this survey for gauging inflation expectations.